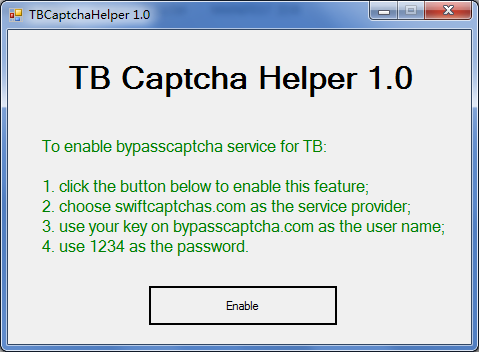 As ticketbots does not support most popular captcha decoding service now, we make this helper program so you can continue using our service with that software. Here is the screenshot of the helper program. Software vendors, we offer a new opportunity for you to earn more by integrating our service into your softwares. © Copyright 2008-2019 BypassCaptcha.com All Rights Reserved.